Your overhead garage doors can be complicated, but they don’t have to get the best of you. So, to help you get the most from your home’s garage door system, and to understand more about how it works, we thought it would help to answer some of the commonly asked questions our garage door specialists hear. Can my garage door be painted?Many types of garage doors can be painted, but you will need to consult the user’s manual to find out if your particular door is one of them. Can just a portion of a garage door be replaced, or must one replace the entire door? If there is an exact match section available then it can be replaced. However, it doesn’t always make sense. The biggest factors in determining whether to repair or replace is if that particular section and type of door material can be purchased from the manufacturer. Can I reuse my old track with a new door? Generally, tracks are replaced with the door. This is not due to safety or maintaining the warranty. Rather, it’s more to do with the type of door – for instance, going from wood to steel. In that situation it would be almost required. In most cases it’s generally better to replace the tracks when you replace the door. Even a minor change in the manufacturing could become an issue in trying to use old tracks, or it could affect the way the door interacts with the track. What is R-value? In our warm Georgia climate an R value between 6 and 10 is generally considered an effective range for better efficiency. This R-value will make a considerable impact as compared to a non-insulated door. However, it’s not necessary to go higher. If you are actively heating or cooling the garage area it may make sense to look for a higher value or opting to get something stronger. It should also be noted that the average homeowner will reap the greatest benefit. It’s also important to remember that different grades of insulation can add strength and noise-dampening capabilities – as adding insulation provides noise reduction or increased strength. Are homeowners required to have handles on garage doors? Most garage doors do not need a handle on the outside. Conversely, a handle on the inside can be useful even if you have an opener as in the event that you must raise/lower the door by hand due to power failure. What is the best way to measure a garage door? 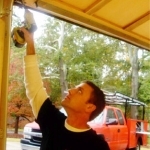 When replacing the door, getting the measurements can be very useful – especially when pricing out garage door options. Rather than being concerned about the garage door size, be sure to measure the opening – the width (also known as the threshold) from wood to wood, and the height from concrete (the slab) to wood. Ensure you have more than a foot of space over the height of your door to the ceiling that is unobstructed. My garage door is loud. Is there a way to minimize the noise it makes? In most cases, yes. The first step is determining what the major sources of noise are. Yes, you can just get a newer, quieter door, that’ certainly a good option, but the noise may also be a result of old, worn out hardware while other situations require more significant changes. In other situations, noise can be minimized by tightening the bolts and lubricating the door. Also noteworthy, is that some types of doors are just noisier to operate. Why won’t my garage door close? If your garage door won’t close, it’s a good idea to check your safety eyes. These are the little sensors usually located at the bottom of the door that get blocked or bumped out of position, or sometimes they are just too dirty to operate well. Make sure they’re clean and free of obvious obstructions between them. If you can’t figure it out, don’t panic. You can usually get the door to close by holding the wall button down. Read this article for more info. Why are the lights on my garage door opener flashing and keeping my door from closing? If it seems to be flashing systematically then it may be a defective motherboard or an error code and you should refer to your user manual. If it’s the light on your wall button – often a small LED – then it could indicate the remote lock has been activated. Many brands – Liftmaster, Craftsman and Chamberlain for example – use a rapid flashing to indicate a safety eye error. Keep in mind that this affects the door closing not opening! How do I know if my garage door is properly balanced? The best way to tell if your door is out of balance is by operating it by hand. As you do so, the door should not be too heavy or have a weight neutral feel. It’s not really a matter of it being too light, you just don’t want it coming up by itself. (Remember the story of Goldilocks and the Three Bears – the door shouldn’t be too heavy or too light.) If the door seems very heavy or you have to fight it to keep it from opening on its own then it’s probably out of balance. Some types of doors will not balance as well as others so it’s a judgment call to determine if it’s a serious enough issue to address. After all, there is no such thing as “perfect” balance, right? My garage has a low ceiling. Can this cause an issue for installing a garage door? There are many techniques to install doors when you don’t have adequate headroom, it just takes having a professional who understands the various techniques and options available – especially if you have less than 13 inches of headroom! While some modifications are simple and routine, the tighter it gets, the more adaptations and modifications you need to make. Some of these are easy to make if you’re close but a professional opinion / experienced technician will be invaluable when coming up with the best solution. Sadly, it’s very common for garage door professionals to make bad recommendations. Many companies present themselves as seasoned professionals but don’t have solid measurements with which they can work. Instead they make overcautious recommendations – often to avoid flak from the installer. Instead of having measurements to pass on to the customer, they are nonspecific, which can increase the cost of the door and the door may not run as well. What is the difference between the screw, belt, and chain garage door openers? The screw drive and chain drives can be good workhorse models although there are no current screw drive systems in production that we’d currently recommend. Belt drive systems are generally as reliable but much quieter. The belt drive system is the best one for reducing noise. The chain belt and screw are popular drive systems that can tell you things about how your opener will operate. Both the chain and screw systems are noisier with the belt system being quieter. While any type of belt system can be a good performer, different manufacturers have built both good and bad quality models of each type. If you look at reliability you look at the model, not just drive type. With newer motors going from AC to DC, it makes for much smoother operation too. This is why we will generally put a DC motor with our belt rail for an amazingly quiet experience – a real smooth operator! For this, going to a DC to AC motor can be even more significant than using a belt. So, if you are looking for a real smooth operator the DC motor with belt drive/rail combo is the ideal set up. What horsepower garage door opener is needed for a garage door? 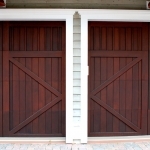 Surprisingly, the horsepower of a garage door is not as significant as one might think. For most scenarios, the actual horsepower plays an insignificant role in regards to the performance and reliability of a garage door opener. This is because the motors are generally not the point of fail, whereas things like gears and electronic components the manufacturers use on various models are a much more significant factor. Once again, going from AC to a DC motor is another significant factor as efficiency and continuous use will be better, because the DC motor performs better than its AC counterparts. If you do have a door that is particularly difficult to operate, or has a heavy-duty system, then gear reduction is the best technique for increasing mechanical leverage. Should I attempt to make repairs on my garage doors? Yes, although garage doors can be dangerous to work on if you’re not sure what you are doing. That said, it’s not rocket science or magic tricks. “Can I do it myself?” you ask. We all know that one can always save money when you can take the DIY approach. However, there are certain elements to working on doors that can be dangerous. Most people choose not to because of the risks associated with the door and the fact that they don’t want to work on something they are not familiar with. If you choose to DIY, be sure you are very familiar with the door, its mechanics and the risks. 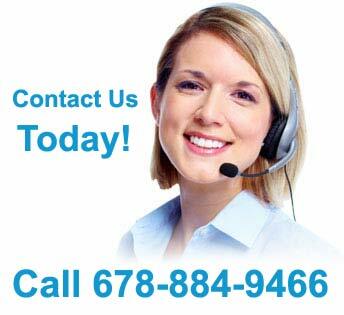 Of course, we can fill that need, will answer your questions, and are here to help. How do I know what type of garage door springs I have? Torsion and extension springs are the most common types. Torsion springs are placed on a metal tube directly above the door. Extension springs are located over or near the tracks and stretch as the door closes. If you cannot see the spring, that would generally indicate that you have a Torquemaster made by Wayne Dalton. If it fails, we generally would replace it with either an extension or torsion system, based on the size and weight of the door. Why is the gauge of a garage door important? A lower the steel gauge indicates a thicker steel. Most single-layer residential garage doors today are made with 25-gauge steel. While the 24-gauge steel is a little stronger, it’s much more popular to go with the stronger steel back doors. The lower the gauge, the stronger the steel. Insulation is used between the layers to create a sandwich construction. However, higher gauge steel back doors will provide much more protection and the insulation is definite plus. Also, while you can go lower, it’s generally better to use a sandwich or steelback construction if you’re looking for increased strength. Even with higher gauges, the steelback doors provide much more strength and protection from denting. Can an old garage door opener be installed on a new door? However, it’s not a bad idea to consider the motor when you replace the door. But as long as it’s working properly it’s generally not necessary to replace. What can I do if my garage door opener is missing? Particularly if the remote is stolen, you’ll want to reset the codes. Homeowners can often find a replacement remote at The Home Depot. Before buying a new one, it’s helpful to get some basic info on your model to ensure you get something that is compatible – if you want to do it yourself. This is not a complicated change to make, but if you need any help, you’re welcome to call CSS Garage Doors. We have remotes on our trucks that will work with a variety of operators. Why is my garage door hitting the floor then going back up? If gears are failing it can occasionally do this – it’s trying to shut into the ground. However, it may be that the door is just shutting on something or that the limit controls need to be adjusted. 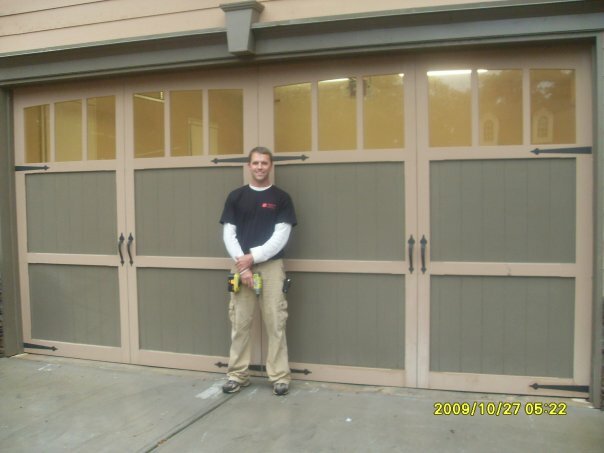 Overhead garage door systems, though beneficial, don’t always work like we want them to. The more we rely on them the more inconvenient it is when they fail. When your door is not working properly, it’s not a bad idea to take a few minutes to learn more about the source of the problem. If you have any questions about your home’s garage doors, don’t hesitate to contact us.What Should I Do If My Garage Door Opener Remote Is Lost Or Stolen? 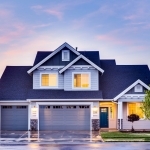 Which Garage Door Installation Service is Right for Your Home?